The Randolph Forest Commission invites the public to participate once again in the annual Forest Day celebrations. This year, the day should perhaps be subtitled, “Katie Stuart Day”. It will commemorate the improved parking lot and access trail to the Pond of Safety and the efforts of retired Androscoggin District Ranger Katie Stuart’s in making those improvements happen. At some point during the day, as yet to be determined, the Randolph Forest Commission will present Katie with a plaque to recognize her contribution. Forest Day will also inaugurate the first year of a new stewardship plan period and will mark the beginning for a new Forestry Team, made up of LandVest and John Lanier, which will be taking over the work done so well by Walt Wintturi, Elise Lawson and John Severance. The day will begin, as usual, with a meeting in the Randolph Town Hall, beginning at 9:00 am. 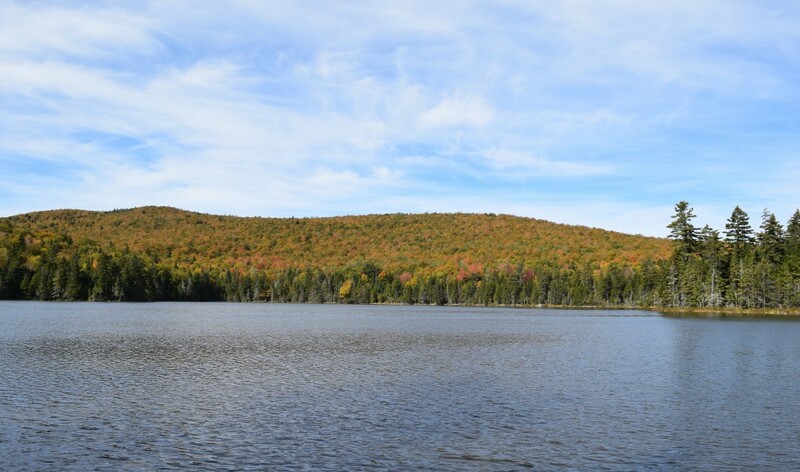 The Commission will introduce the new Forestry Team and will report on what has been happening on the Randolph Community Forest during the past year. John Lanier or County Forester Brendon Prusik will give us an update on the progress of the Dirt to Trees to Wildlife (DTW) project. 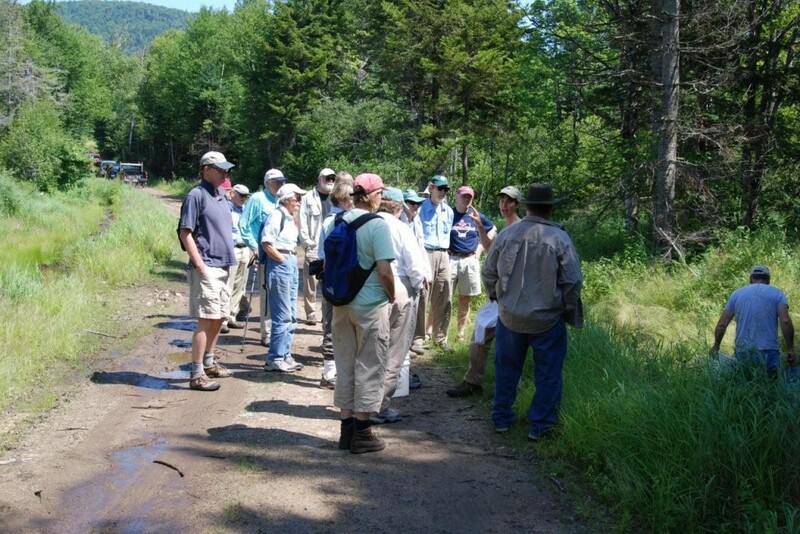 This is a groundbreaking development involving the design, by the GRANIT unit of the University of New Hampshire, of computer software which will permit the digital merging of data about soils, foliage and wildlife to produce options for landowners wanting to manage woodlands for particular species of wildlife. The Forest Commission has contributed funding towards the cost of the program and, when the software is ready for use, our Community Forest will host its roll-out event. Commission members will discuss the new interpretive trail which has been completed, starting from, and ending at, the Randolph Hill parking lot. The trail is meant to be an educational review of various aspects of the Forest and of the land in which it is located. Copies of the pamphlet explaining the significance of the stops along the trail will be available. Commission members will also report on the maple syrup initiative now underway. A contract has been agreed upon and production is expected to begin in the spring of 2017, although it will probably be a few years before full capacity is reached. The economic cost-benefit analysis undertaken by the Commission in reaching its decision will be explained. The experimental nature of certain aspects of the project will also be discussed. At about 10:00 am, or whenever the discussion in the Town Hall is completed, the tour of the Forest will begin. We will drive up the Pond of Safety Road, stopping to see some of the permanent wildlife openings which were established during the first plan period. But the focus of the tour will be on the prescriptions of the second plan. LandVest will identify and explain the projects it expects to undertake during the first year. The sites will be marked with the date of the harvest, so that future forest tours can revisit them periodically to watch the process of forest regeneration. The process of forest regeneration also provides opportunities to see its effect on wildlife. Each stage of the process creates a different type of habitat and contributes to the forest ecosystem in a different way. John Lanier will explore with us the different types of habitats and the contributions that they make. The tour will finish up with a lunch stop at the Pond of Safety. Those who have not yet had the opportunity to see the improvements to the access and parking areas around the Pond, will be in for a treat. These improvements are an enduring testament to Katie Stuart’s work and to the cooperation which exists between the Town and the US Forest Service. Anyone who wishes to do so is welcome to attend the session in the Town Hall, without going on the following tour, or to join the tour without first going to the discussion at the Town Hall. If you do go on the tour, as always, bring a lunch and insect repellent. Wear weather appropriate clothing and boots or shoes for light hiking. Children are welcome.